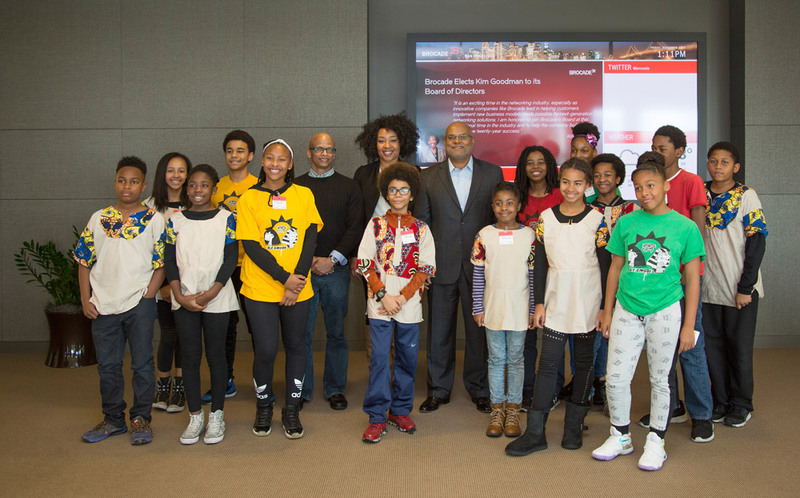 Brocade welcomed students from Ile Omode School for a day of learning and exploration of possible careers in the technology industry. Ile Omode is an African-centered school founded by Wo’se Community of the Sacred African Way in Oakland that emphasizes African values and community as a framework for preparing children to compete in a technologically advanced society. It is an independent, private school in Oakland, California, providing instruction to children from preschool through 8th grade.